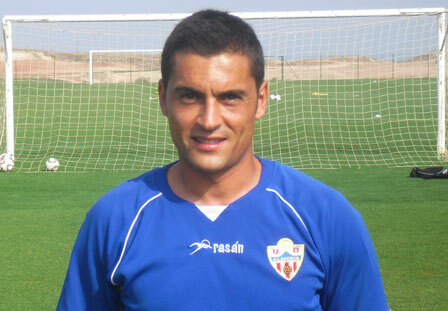 To find out more about UD Almeria Team 'B' click on the logo. England squad completes a successful four-days pre-series bonding and training camp in the build up to the Ashes at Desert Springs Resort in Almeria, Spain. With a 3rd place finish in the Segunda División ‘B’ last season, Union Deportiva Almeria (Almeria Football Club) ‘B’ squad returned to Desert Springs Resort in the Almanzora region of south-east Spain, for their annual pre-season training camp between Thursday 30th July- Saturday 1st August. A squad of twenty-two (22) players and six (6) officials from Almería Football Club spent three days at the resort for their training camp, during which the players benefited from training on the Football Academies world-class international-size grass pitch. During their stay, the Almeria players and officials were accommodated in some of the privately-owned apartments normally reserved for holidays and short breaks at Desert Springs and the resort’s executive chef was on hand to cater for the special dietary requirements of individual players dining in the resort’s award-winning El Torrente Restaurant and The Crocodile Club. For details of Cricket, Golf & Sports Training Camps, Corporate Golf Events and Meetings at Desert Springs call 01242 680 116. Cricket Academy training facilities comprise; a six bay grass wicket and run up with nets, a two bay artificial wicket with nets, a full length artificial grass wicket, a Professional Bola Bowling Machine with 28 ball feeder, a slip catch cradle and a specific hard standing area, which provides outside space for facilities such as a free weights gym, stretching mats and a medical area. Desert Springs takes it name from the region’s desert microclimate, which is unique in Europe. It has the warmest winter weather on the continent with an annual average of more than nine hours of daily sunshine and maximum daily temperatures of between 16C (60F) and 30C (86F) throughout the year. Annual rainfall is less than 200 mm. The Almanzora coastal waters are among the cleanest and warmest in Europe, attracting both fish and diving enthusiasts. With a 3rd place finish in the Segunda División ‘B’ last season, Union Deportiva Almeria (Almeria Football Club) ‘B’ squad returned to Desert Springs Resort for their annual pre-season training camp between Thursday 30th July- Saturday 1st August. A squad of twenty-two (22) players and six (6) officials from Almería Football Club spent three days at the resort, during which time the players benefited from training on the Football Academies world-class international-size grass pitch. During their stay at Desert Springs the Almeria players will benefit from training and coaching on the first class international-size grass pitch complete with; floodlights, shower and changing facilities, a referee changing room, a goal-keeper training and five-a-side games area, and a hard standing area which provides outside space for facilities such as a free weights gym, stretching mats and a medical area.A squad of twenty-two (22) players and six (6) officials from Almeria Football Club will reside at the resort for a 3-day training camp to benefit from the facilities of the renowned Football Academy established at Desert Springs. “Desert Springs Resort is an amazing and beautiful oasis in the desert! With a 19th place finish in the Primera División (First Division) last season, Union Deportiva Almeria (Almeria Football Club) ‘B’ squad will return to Desert Springs Resort for what is now the fourth year to complete their annual pre-season training camp between Thursday 30th July – Saturday 1st August. With a 17th place finish in the Primera División (First Division) last season, Union Deportiva Almeria (Almeria Football Club) ‘B’ squad returned to Desert Springs Resort for their annual pre-season training camp between Wednesday 30th July- Saturday 2nd August. A squad of twenty-one (21) players and seven (7) officials from Almería Football Club spent three days at the resort for their training camp during which the players have benefited from training on the Football Academies world-class international-size grass pitch. To find out more about MCC Young Cricketers visit the website. With a 17th place finish in the Primera División (First Division) last season, Union Deportiva Almeria (Almeria Football Club) ‘B’ squad will return to Desert Springs Resort for their annual pre-season training camp between Monday 4th - Thursday 7th August. A squad of 24 players and six officials from Almeria Football Club will reside at the resort for a 3-day training camp to benefit from the facilities of the renowned Football Academy established at Desert Springs. “In 2012 Almeria Football Club regained their promotion to the First Division for the 2013/14 season and for the second consecutive year held their Pre-Season training camp at Desert Springs." Title: UD Almeria Select Desert Springs Resort for Pre-Season Training for 'B' Team For Second Consecutive Year! Following on from the success of their inaugural training camp in 2011, Union Deportiva Almeria (Almeria Football Club) who last season achieved promotion to the Primera División (First Division) have selected Desert Springs Resort to be host once again to the pre-season training camp of their ‘B’ Squad between Monday 5th - Thursday 8th August. A squad of 24 players and six officials from Almeria Football Club will reside at the resort for a 3 day training camp to benefit from the facilities of the renowned Football Academy established at Desert Springs. 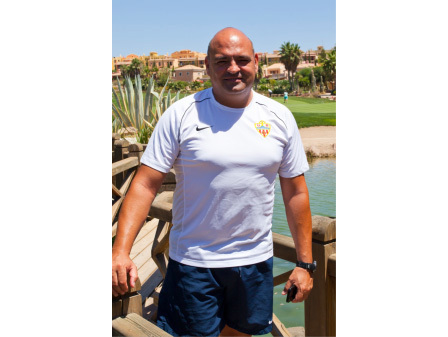 Simon Coaker, sales and marketing manager at Desert Springs, remarked that the Club’s ‘B’ Team experience during last year’s inaugural training camp at the resort influenced their decision to return this year. “At the completion of last years training camp the Club’s Manager was so enthusiastic about the caliber of the resort, its football pitch, other sports facilities, restaurants, accommodation and staff, that he pledged for the team to return,” said Simon.